Download "Create a report with formatting, headings, page numbers and table of contents"
1 Create a report with formatting, headings, numbers and table of contents MS Office Word 2010 Combine this model with instructions from your teacher and your report will be something you can be proud of. I have made a sample report based on this instructions. You can find it here. 2 Outline Formatting Headings Body References Page and Section Breaks Pagination Table of Multilevel List Table of Figures Final touch The links on the left leads you directly to a particular topic. Some topics consist of several s.
3 Outline Start by creating the report's outline. It may look slightly different depending on in which department you are studying. An example: The title Foreword Summary Abstract Table of (TOC) Introduction Theory Method Evaluation/Outcomes Discussion References Appendices Once you know the layout and what to enter under the headings, type your text into a word processor. 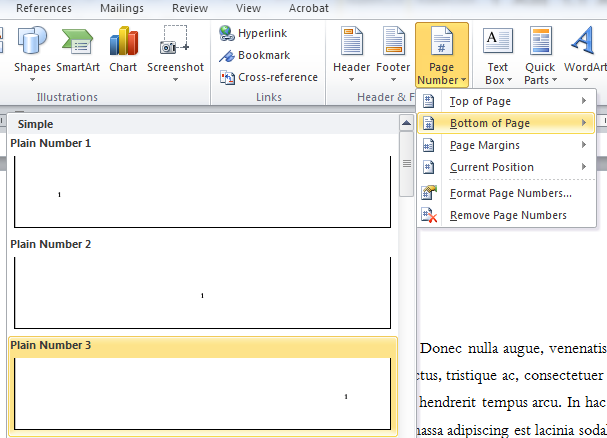 This guide shows MS Office Word 2010, but, with a little ingenuity you can transfer the instructions to other programs. 4 Don t worry about any formatting at this stage. Outline, continued Fill your report with text and anything else that should be there. This heading will be at the top of next, but we will solve that later by inserting a Page Break. Do not use the Enter key to force it into the next! Write your text continuously under each heading. The only time you should use the ENTER key is where you want to create a new paragraph! And maybe to create a little "air" on the s once you finish formatting. 5 Formatting It's up to you when you want to start formatting but my suggestion is to write as much as possible from the beginning. Optionally, you can format the headings at the beginning to more easily find the document. If you do not use RefWorks, you have probably already done some formatting of your references - italicized book titles and more. How do you do to keep the italics formatting? I will show you soon. NOTE! The formatting used here are examples only. You should use the fonts, sizes, etc. listed in the study guide or other governing documents. 6 Formatting, continued What should be formatted? The body, i.e. the main text of paragraphs. The reference list, with italics and easy to navigate in. The headings, possibly numbered. When formatted correctly, you can easily create and update a table of contents. In connection with the headings comes Page Breaks and Section Breaks. Page numbers, not all s are numbered. 7 We start with the headings By formatting the headings, we don t just get a nice document, we also provides for an automatic* table of contents. * It is created automatically but must be updated manually! Tip! Make a list of your headings and heading levels. NOTE! Foreword, Summary, Abstract and TOC will just look like heading level no 1. These will not appear in the TOC so therefore we will format them manually. You can of course give them heading style, but then you have to remember to remove them from the table of contents. 8 Headings, continued Select what will be a heading. Click on desired heading format. In this case heading 1. Go through your document and format all the headings. You can always add, delete and change heading level. 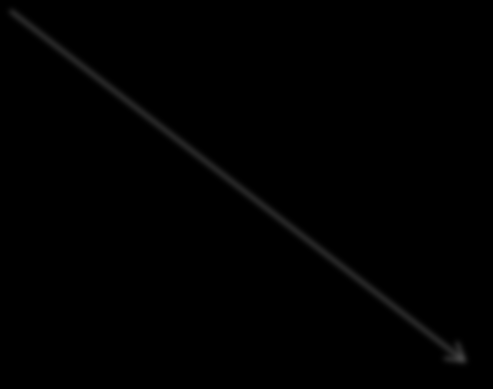 Normally, limit the number of heading levels to three. 9 Headings, continued Heading formatting is completed, but they don t look like we had planned. Select any title with the heading level you want to change, for example Introduction with heading level 1. Here I have changed to Arial, bold, 18 points and black text. With the heading still selected, right-click the Format button and click Update Heading 1 to match selection. This will change all number 1 headings. Repeat with the other heading levels. 10 Headings, continued A quick way to keep an eye on the headings (and the Page and Section Breaks that come later) is to click the Outline under the View tab. Here you can very easily move, change order and level. 11 And so the Body Assuming you have written all body text in the same format this becomes as easy as changing the headings. But first we must "save" the italics in the references*, if you've already made such. Copy the references and paste them into a blank document. We will pick them up later*. Select a paragraph in the document somewhere. Change font face to, for example, Bembo, 12 points. Change Line spacing under Paragraph. Here I have changed to 1,5 lines and 10 pt after each paragraph. * Does not apply if you use Refworks. 12 Body, continued Right-click on the selected format button and click Update Normal All text with body format have now received the new format. In all probability, the italic format in the reference list has been removed but we will solve that on the next. Now you can change the headings(one by one) that are ahead of the Introduction to Arial, bold, 18 point and black text, but this time, don t right click and change in any format. The change should just be in the selected text. This way they will not be added to the table of contents. 13 And references If you use Refworks, skip this chapter. Information about Refworks can be found here Go back to the temporary document (the one you created in the Body section) with the reference list and copy the list. Paste it back into your document. Select the references and change the font to 12 point Bembo. It looks OK but you can make it even better. See next. 14 References, continued Select the references and open Paragraph. By changing the line spacing to Single, Spacing before 0 pt and Spacing After to 6 pt, you get a good looking list that does not take much space. Better still, change to Hanging Indentation, 2-3 mm will do the trick! 15 Page breaks and Section breaks Page breaks and section breaks are used to control the Text Flow. A new chapter starts on a new and a table is more attractive and more readable if it is on a separate instead of being divided on two s. To make the pagination start on 1 after the TOC you use Section break and also after your references if you add any appendices because they are usually not paginated. In the rest of report you use the break. 16 Page breaks and Section breaks, continued Start with the section break. Place the cursor directly in front of the Heading Introduction. Select Page layout Page setup Breaks Section Breaks Page. Repeat with Heading Appendices. 17 Page breaks and Section breaks, continued Continue with Page Break. Place the cursor directly in front of the Heading to be on top of the, in this case the Foreword. Select Insert Pages Page Break. Insert Page Breaks in the rest of the report. Remember, Introduction and Appendix already have breaks. 19 Pagination, continued Insert the cursor again on the where the Introduction is. The will be number 1. Under the Insert tab, select Page Number and click on Bottom of. Click Plain Number 3 to place the pagination at the bottom right. 20 Pagination, continued Click on Format Page Numbers under Page Number. Click on Start at: and chose 1. 22 Table of (TOC), continued Choose the format and how many levels you want displayed. Normally three. How to update the table of contents? See the section on Multilevel List. 23 Multilevel List Sometimes the chapters are numbered. This is done best by creating a Multilevel List. Multilevel list keeps track of the numbers if you decide that you must rearrange, add or remove parts of your report. Place the cursor on a heading. Click on Multilevel List under Paragraph and select from the List Library. I think this one gives the best result. It also affects the other heading levels with one click. 24 Multilevel List, continued Update the Table of. This does not happen automatically. You must do this manually. It is important to remember to do this ones you are done with your report! Rightclick on the table of contents and chose Uppdate Field. Chose Uppdate entire table. 25 Table of Figures Does your report contain a lot of pictures, tables, equations etc? Then it might be necessary with a Table of figures. Place it directly after the TOC. The program needs to know what to include in the table. You can fix this by inserting a caption to your figures. Click on the picture, table, equation etc. Then click on Insert Caption under References. With all the parts described, place the cursor after the table of contents and select Insert Table of Figures. 26 Final touch It is time to review the report and fine-tune the layout. Look for... Inserted pictures, diagrams, etc. Are they within the margins? A few lines of text on an otherwise blank? 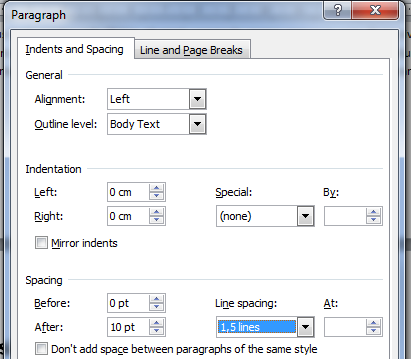 Right-click the paragraph, choose Paragraph, and change the Line Spacing to Exactly and to try to fit the lines into the previous. If not, you can try to reduce the line spacing in the paragraph above. 27 Final touch, continued Tables. Will they fit on one? If not, add table headers also on the following / s to improve readability. Sometimes it seems that evil spirits have control over the document. The spirits are often paragraph marks and other hidden formatting. Make them visible with ctrl + shift + ( alternatively, click on. When you see them you know what to do with them! Remember to update your table of contents when you have finished your final touch! Creating a table of contents quickly in Word This note shows you how to set up a table of contents that can be generated and updated quickly and easily, even for the longest and most complex documents. A Brief Guide to using Word 2007 to Format Papers in the Publication Style of the American. Psychological Association. 2.1 Page Breaks Page breaks are added to start at a new page and allow additions to previous pages without altering the format of pages below it. Ribbon Highlights 1. Home: Try the new "Tell me what you want to do" search bar to help you find the features you need. E.g. Type the word "line"
BCCC Library. 2. Spacing-. Click the Home tab and then click the little arrow in the Paragraph group.